Budget Calculator - Managing the economic downturn ~ Android Forever! Most of us will be tightening our financial belts in the face of our sagging economy. Why not figure out a family or individual budget the fun way? 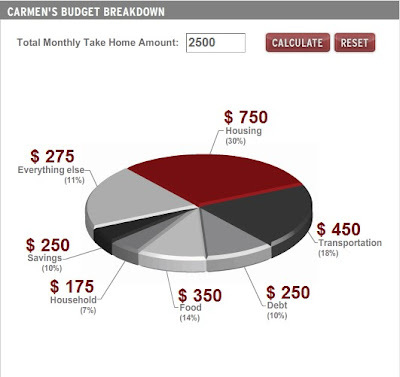 Check out this flash-based interactive budget calculator that takes your monthly take-home pay and creates a slick pie-chart of suggested allocations.